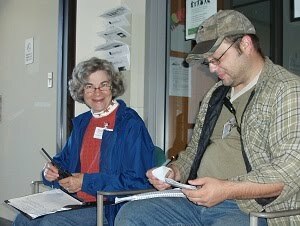 Participation in 12 St. Croix County ARES/RACES training nets per year. Participation in one ARES/RACES activation (either Skywarn or other) per year. Attend one ARES/RACES meeting per year (might be the annual meeting). Send one NTS radiogram per year indicating the member is still interested in retaining membership. This does not have to be on the air, it can be through e-mail or Winlink 2000, etc., but it must be in NTS format. Be a contributor to the team in the eyes of the Emergency Coordinator (subjective, but important). Attend Skywarn training at least once every two years. Completion of ICS-100 and IS-700 courses. * subjective: involvement in meetings, participates in training, active on nets, professionalism, humble, confident, maintains confidentiality when required, communicating with the leadership, representing the group well, meeting the requirements of our served agencies, etc. You will have one year to complete all of these requirements. For more information, contact info@stcroixaresraces.org.